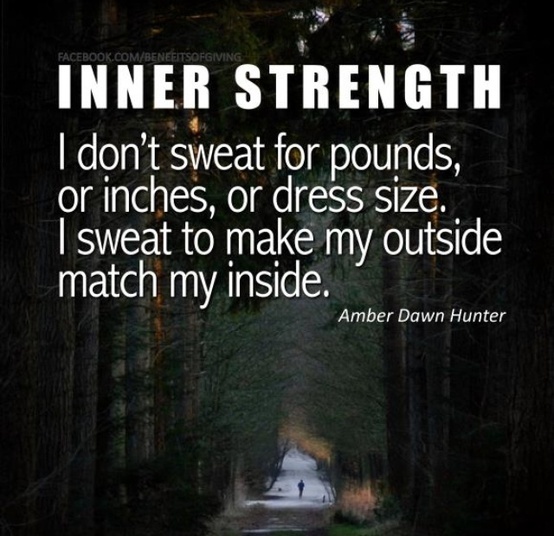 I am so happy to be at a point in my life where I can honestly say I have inner strength; where I sweat “to make my outside match my inside”. For so long I was sweating for all the wrong reasons. I am so thankful and blessed to be healthy and able to exercise. ALWAYS remember that your body is a temple , NOT a trophy; learn to treat it like one. Great post! I love that you are sooo positive with each post!